Coralie has held a diverse set of positions throughout her 12 years of experience in the commercial and videogame production industries, with a primary focus in client services, talent management and business affairs. 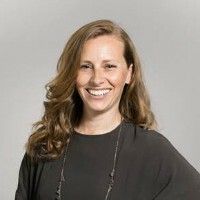 She has managed relationships with some of the biggest talent and lifestyle brand names in action sports, handled a multitude of licensing agreements and collaborated on key marketing projects for a five-year series of AAA videogame titles. She is also well versed in public relations, sales & marketing and brand development.